1st PowerShell script will enable (or disable) write caching policy for Disk #1, Disk #2, Disk #3, ... , Disk #13, Disk #14 using Microsoft developed utility dskcache.exe in graceful manner (Windows Server 2008-2016). 2. Unpack and install it into the same file directory as PowerShell script ChangeWriteCaching.ps13. Local Administrator rights for local and remote server. 4. Enabled PowerShell remoting. For Windows 2012+ Windows PowerShell remoting is enabled by default. 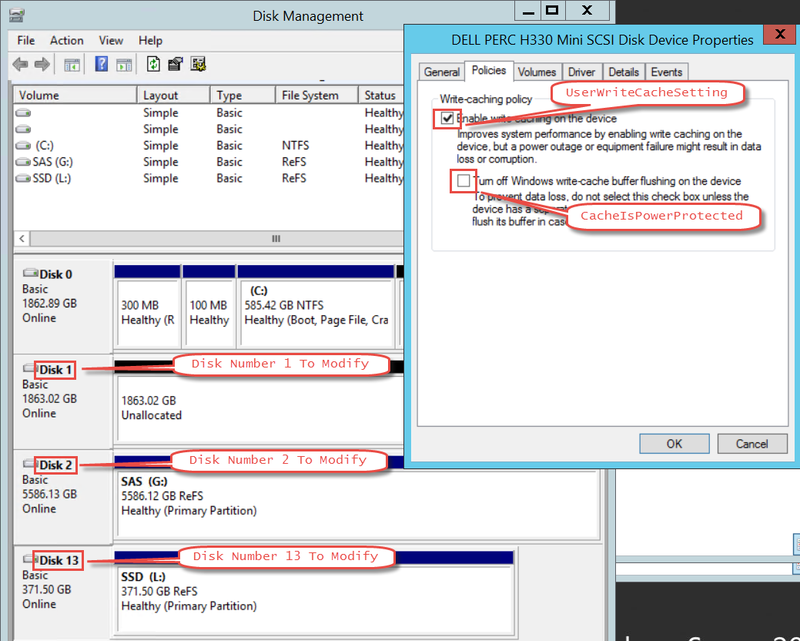 Second one PowerShell script below will enable (or disable) write-caching policy for Disk #1, Disk #2, Disk #3, ... , Disk #13, Disk #14 using PowerShell only on remote servers (Windows 2012+). 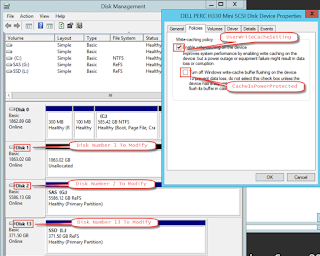 # CacheIsPowerProtected parameter in most cases would be "0"
For some storage controllers like RAID changing parameter UserWriteCacheSetting for connected disks may have no effect because of caching policy is being managed by storage controller settings.